In recent years Microservices got lot of popularity and most of the systems are adopting this new architecture to develop Line of business applications. However Microservices might not be a single solution for everyone or every problem. Let’s say if you got independent team to build and mange independent modules in your system, then it might be an ideal approach Having said that , it could be a better architecture even for single team projects to develop complex distributed applications and deploy it in any cloud environment. 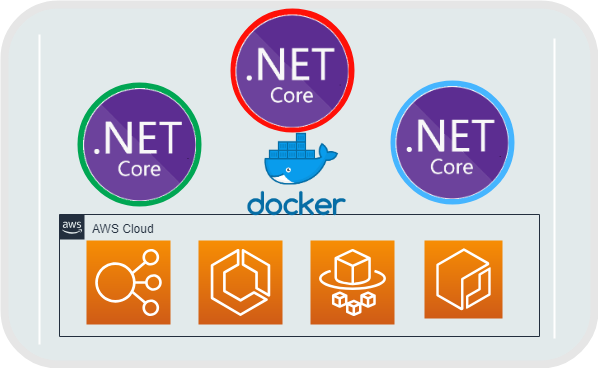 In this series I am going to take you a ride, how to deploy dotnet core Microservices in AWS using ECS Fargate. I love serverless frameworks. Fargate has come to help us deploy apps into Containers without require us to maintain Host machine. Also got some basic understanding of AWS services such as EC2, ECS, ELB, ECR, IAM and AWS configuration. 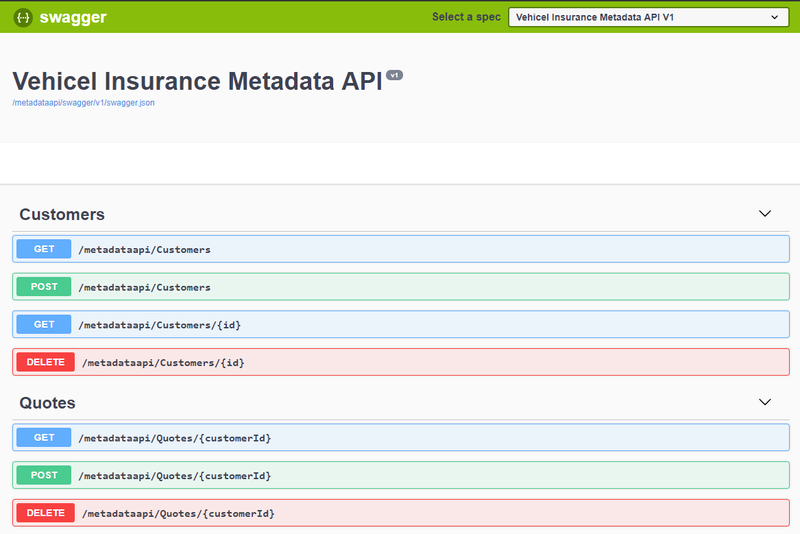 I created one application for Vehicle insurance use case. Any client can make REST calls to Metadata service to create/update customer , vehicles information and requests for vehicle insurance quotations . Quote will be generated on server and sent back to clients. Once your picks a quote, client should call policy service to process and create policy . I created two simple ASP.Net core webapi projects for these services, one to mange basic info like customer, vehicle and quotes . And other one to manage policies. Each service will interact with its own database to make these service purely independent. Data between these databases can be synced or changed using Event patterns , which will be out of scope for this demo. Every request from clients can come to a single Application load balancer and then the request will be forward to respective target groups by matching URL pattern. Idea is to create a unique Target group for each service, so that they will forward the requests to service Containers, that are launched in ECS cluster using Fargate. 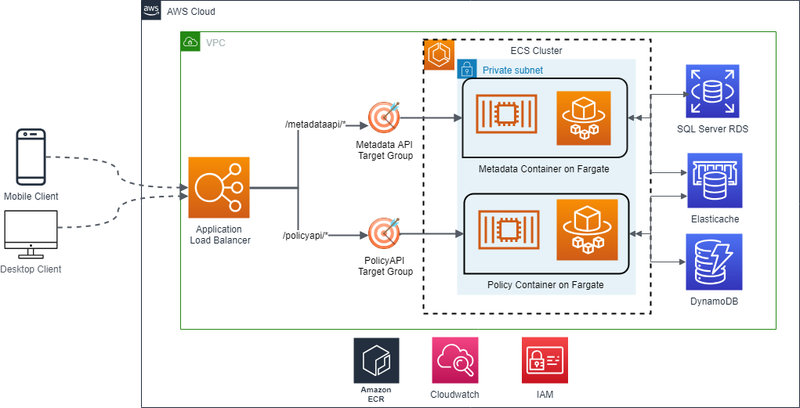 APIs running in ECS containers should be able to communicate with database services such as SQL Server RDS , Elasticache and DynamoDB in the same VPC. Lets first understand the necessary parts in ASP.Net Core webapi services to be able to deploy in ECS cluster. 2. Every service should have a health check route configured, to check service is running in container from ELB. I used built in middle ware to configure this. 3. All routes in a service should have a common base route path, so that requests from ELB should be able to send to this service target group by matching the base route path. 4. I used swagger for API discovery documentation. This swagger configuration should also consider using base route path. Docker is a plotform to create and deploy application containers on Host machine. If you have not worked on Docker earlier, please consider going through some basics. I loved this pluralsight corce. Also created a docker-compose file to build and run these containers in local host machine. Login to ECR to push this mage to cloud . We need to run this command to generate login command. Copy and paste the output from above command in the terminal to perform actual login. 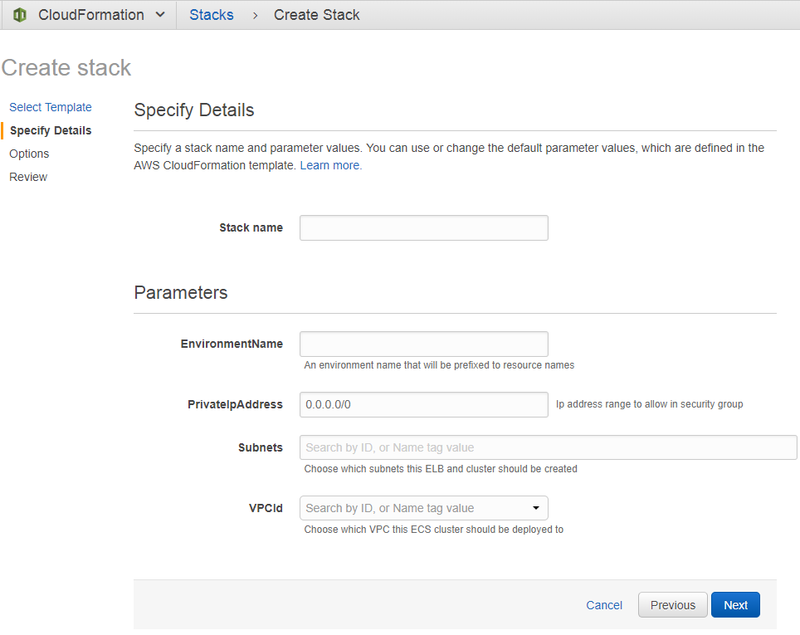 Deploy Service Images in ECS Cluster using Cloudformation. First one to create common resources like Load balancer, secutirygroups and Cluster. We need create one stack for each service in our application by passing necessary parameters. You can use either AWS console to create stacks for these cloudformation templates or execute them from command line. Before creating service, make sure all necessary environment varibles are defined in the template. Once the second stack created , you can find the ELB load balancer DNS entry in AWS console. Browse each service swagger url to make sure apis are deployed sucussfully. Other option to deploy these microservices is to use AWS Web console. Please visit next part of this article to understand each AWS service. Full stack .Net Developer. Passionate about cloud technologies.